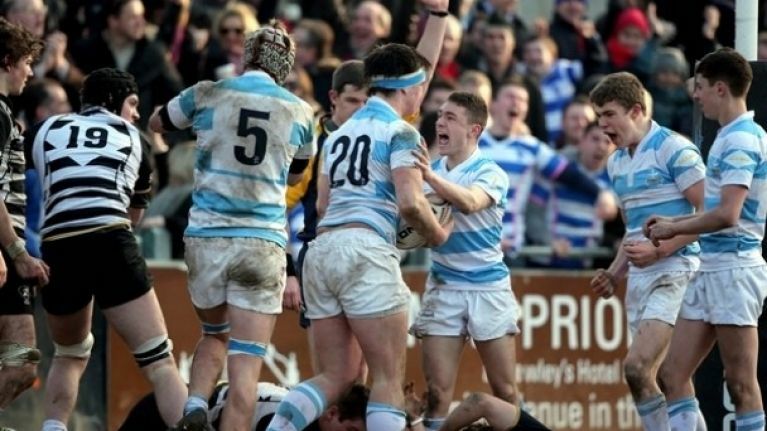 As part of our build-up to Monday’s Leinster Senior Schools Cup Final, we take a look at the kingpins of Leinster schools rugby, Blackrock College. There’s no getting away it, when it comes to schools rugby in Leinster, one institution stands above the rest. Blackrock College are the Kerry, the Kilkenny, the Barcelona, the Muhammad Ali, make any sporting analogy you will, the south Dublin school are the head honchos of schools rugby in the province. They’ve earned that status thanks to 66 Senior Cup titles, 46 Junior Cup titles and a list of past pupils that reads like a who’s who of Irish rugby over the last century and more. 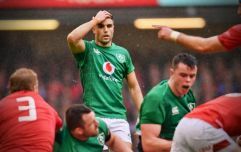 Leinster players Jordi Murphy, Andrew Conway and Brendan Macken were on the last team to lift the trophy in 2009, so you can expect to see more Blackrock products in Leinster blue and Ireland green in the near future. Brian O’Driscoll went there but famously never won a Senior Cup, Hugo MacNeill, Fergus Slattery, Luke Fitzgerald, Leo Cullen and Neil Francis are some more famous Old Rockmen, as are Ryle ‘Tommy Booooooowe’ Nugent and current Leinster centre Brendan Macken, which perhaps explains why the impression of the former came so easily to the latter in the classic clip below. Because they’ve won it 66 times, the last three years could almost be classed as a drought for the famous college, so there should be no problem against St. Michael’s on Monday as far as motivation is concerned. Talent isn’t a concern either. The first round clash against Gonzaga was deemed to have plenty of potential for an upset before the men in blue and white put up 44 points and emerged 26-point winners thanks to the machine-like kicking of Gary Ringrose (eight from eight), tries from Jeremy Loughman (2), Charlie Rock, Tom Cooke and Zach O’Hagan and a commanding display by the highly regarded Nick Timoney at number eight. ‘Rock might only have managed half of that 44-point total against Kilkenny College in the quarter-final but the victory was no less convincing. O’Hagan touched down in that game, as did Jack Power and David O’Connor while Ringrose was again unerring with the boot, missing only one of four kicks at goal. If their first two outings were run of the mill affairs, the semi-final defeat of Roscrea was anything but, with Blackrock coach Peter Smyth saying afterwards that he doesn’t know if there’s ever been a better schools match (Check out the highlights of an incredible game below). Blackrock were down to 14 men for the entire second half and were trailing by 11 points with ten minutes to go. Jack Dwan and Dane Fitzpatrick arrived from the bench to add late touchdowns and Ringrose nailed every one of his five kicks. Do the maths and you’ll soon realise that he’s missed only one of 17 kicks in three games. That’s a success rate Dan Carter or Jonny Wilkinson would be proud of. Ringrose and Timoney have been outstanding to date, but with the likes of captain Charlie Rock (in his third Senior Cup campaign), Sean Coughlan, David O’Connor and Oliver Jager (who have all represented Leinster), also in the side, Blackrock’s XV is littered with excellent performers and as the semi-final showed, they haven’t bad options in reserve either. A powerful pack that is extremely hard to stop has been the fulcrum of Blackrock’s performances to date and St. Michael’s will have to produce a hell of a performance to overcome a side who are overwhelming favourites to make it number 67 next Monday. After four years, there’ll be plenty of people around the far from starved for success college saying it’s about time. Brian Carney gives Sky Sports presenter a "geography and sovereignty lesson"